Two years ago, I created a program to address what I saw as a gap in existing social-tech initiatives in Berlin. 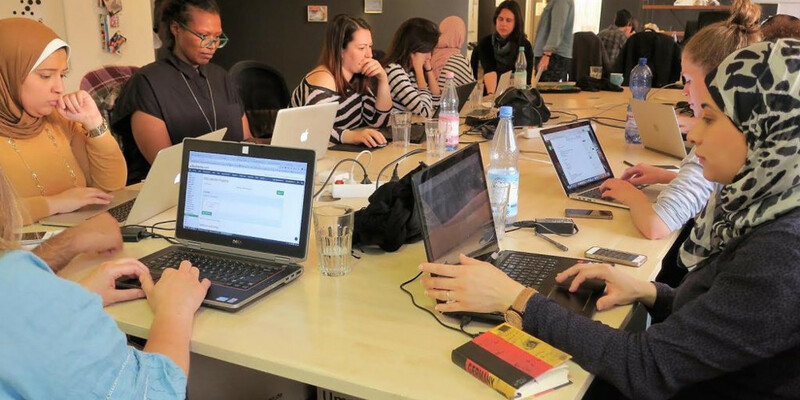 With a background in Middle East history, and an almost 20-year career in IT, I was excited to use tech skill training as a way to help integrate new refugee status-holders into Berlin. Because I felt that technology has been a fantastic industry for me, I wanted others to get to know the industry as such. Yet I was disappointed to find “refugee tech” programs that more or less omitted women, or that made “refugees” their explicit focus — ensuring that gender disparity wouldn’t be. From my neighbors, from local German parents, and from Germans who did not work in the digital field, I soon learned that my digital activities in the software industry had put me into a kind of “Berlin bubble.” In this bubble, women over 35, women juggling parenting responsibilities, and women who weren’t Instagramm-ing, Twitter-ing, FaceTime-ing around the clock were often missing. Women working in large, mostly-German companies and in the public sector looked at me in confusion when I talked about what I did. “I wish there was something for me to learn IT skills,” confided one mom I know. “What is an accelerator / incubator / hackathon?” asked other women. If women inside the tech sector didn’t know ways to balance having a tech career and kids, small wonder that women in more “traditional” jobs had trouble to imagine it, as well. And yet, when I started to meet with recent immigrants from Syria and Iraq who’d had professional careers before wars drove them from their homes — almost all of these women had children. 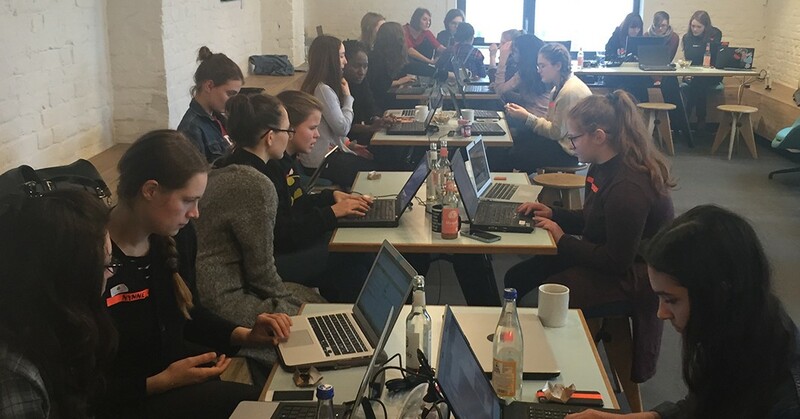 That led me to a turning point: how to “integrate” women in Berlin to a new industry, new way of working, and new technologies to work with, without excluding any woman with the desire to learn? 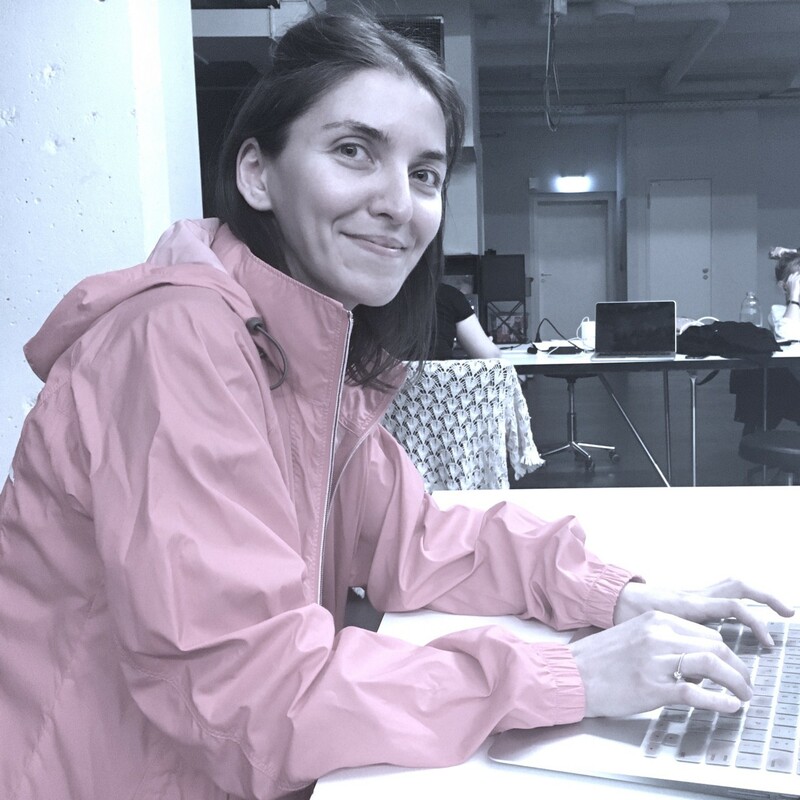 I wanted to create an alternative to men-heavy tech bootcamps and hoodie-filled hacker spaces. I wanted to blend two groups of women pursuing the same goal — entry to a well-paid, growing industry — without making any woman feel unwelcome, patronized or disadvantaged. Representing over 15 nationalities, FrauenLoop mentors and students’ backgrounds tell an atypical story. 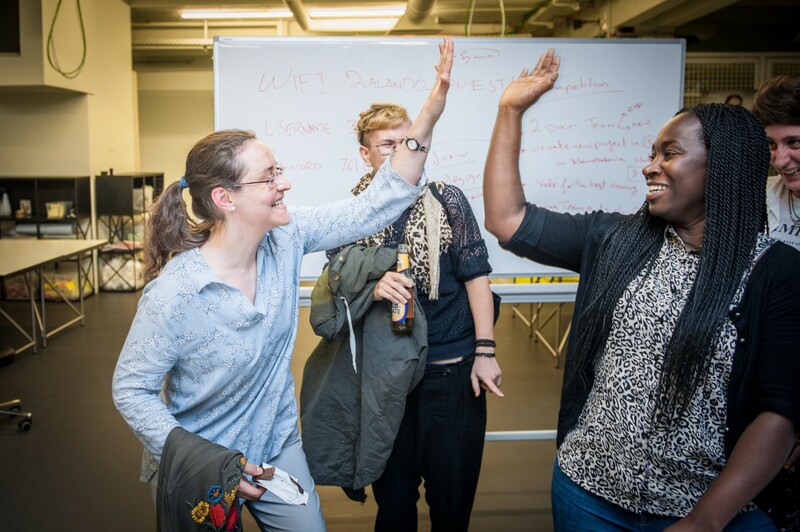 Word of mouth and two years of patient, dedicated volunteer coaching later, FrauenLoop has grown and expanded in the best of ways: to suit the needs of resident and immigrant women in Berlin. — Gülsen, FrauenLoop student from Istanbul, Turkey. 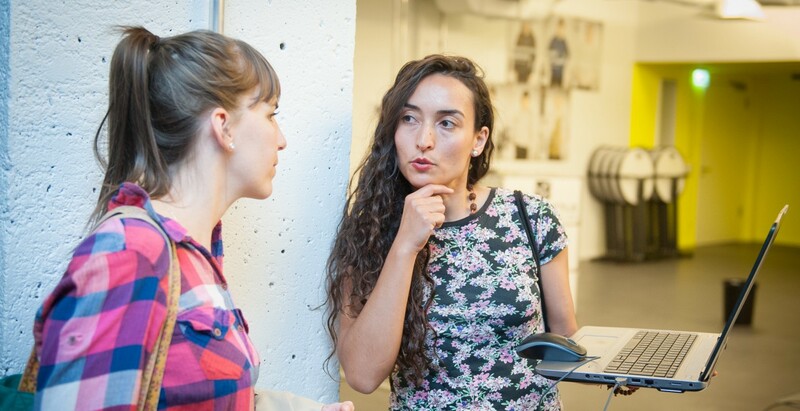 FrauenLoop operates in English: the better to keep our students and mentors from Germany, Egypt, Pakistan, Venezuela, Greece and Syria “at eye level” in terms of working in a second language for almost everyone. With the generous help of other tech industry insiders, I’ve responded to students’ and mentors’ questions with public workshops — about how to present oneself online, how to interview effectively, how to navigate salary negotiations, and how to find out about and pursue tech industry roles and technical skills that many women may only recently have learned about. A FrauenLoop Berlin session hallmark is that questions can be asked without apology. 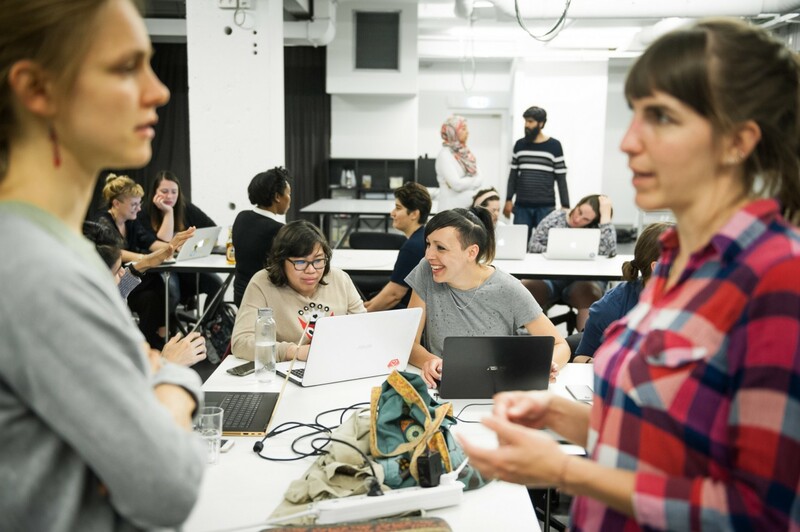 FrauenLoop has gone from an integration program meant for refugee and German women, to a tech integration program for women from all over the world. I believe that FrauenLoop can bring to the tech industry what it is currently missing: different perspectives based on place of origin, age, family situation and — of course — gender. Global migration is making the whole world smaller, but computer algorithms built today often reinforce old stereotypes. This won’t change until people belonging to marginalized groups begin to enter the tech industry and build different algorithms, or, at the very least, challenging their uncritical use. 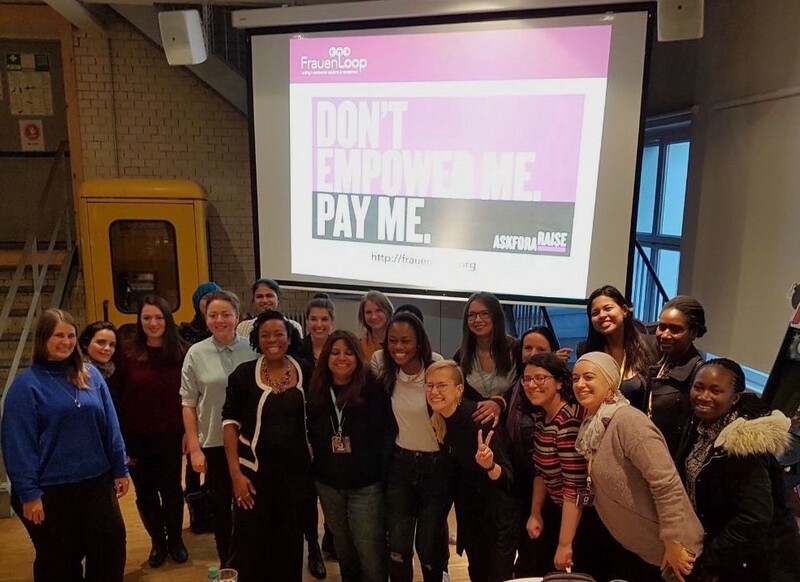 At FrauenLoop, women share knowledge and do what is most effective in making change: helping one another. FrauenLoop students after a successful coding challenge.